This entire series of songs are the most personal and autobiographical I have ever written. I have never delved so deeply into folk and personal stories as here a sign of the influence of attending a great Scottish Cultural Studies course at Nottingham University. In this case the family story (now more detailed thanks to other family members input) revolves around my great-great grandmother and her ‘flight’ as it turns out now from southern Ireland not Ulster as I presumed in 1995. The story is simple she was catholic from a small village..Borrisleigh in Tipperary. It looks like her marriage to a serving British Army man Private Charles Mead precipitated the flight from Ireland (allegedly at dead of night in a fishing boat) to escape persecution by Irish Independents long before the Anglo-Irish War. He too was a catholic I now believe not a protestant but accepting the ‘black and tan’ was treated as even worse than the old ‘enemy’. They were then sent to Ranikhet in the Himalayas which modeled on an English village in 1880s where my great-grandmother Mary was born on the 15th December 1888. Below her birth certificate. Here the ‘English Church at Rani Khet’ from a postcard. This location and photos have only been uncovered recently. The Ballad of Ranger Best referred to in the original recording is a poem by James Simmons which refers to the murder in 1972 of a 19 year old Irish member of the British Army (The Irish Rangers) who abducted from home when on leave from Germany and executed by the OIRA. Bury the gun under the orange tree. Latest addition to the Black Tin Barns album on bandcamp. This song is about the slow decline and eventual closure of the British Leyland Rover factory in Cowley. My Uncle John worked in the spray booths there and my father would drive past it almost every day . By the early 1990s the once proud Morris Motors and Pressed Steel plants were either crumbling or being demolished or sold to BMW. Thatcherite propagandists in the press had a field day destroying its reputation and shoddy working practices at all levels produced a series of bad cars but it also had a long history of union activism and government opposition meaning it like the mines ripe for closure by a right wing establishment. The early 1990s were marked by a series of ‘joyride’ incidents*. Basically disenfranchised youth venting anger at no jobs and no hope. Cars would be stolen, joy ridden and burnt…it happened everywhere but nowhere more poignantly than in Blackbird Leys estate…the side of Oxford that never seen. I was more interested and attached to that part than any dreaming spires. So this is my sad elegy to a now destroyed community and way of life. Ironically I have never learnt to drive but write a lot about cars….maybe if I had I’d be Bruce Springsteen now! Here images of it as it was.. Following a crackdown by police on joyriding in September 1991, some 150 youths stoned police officers. Two women suffered stab wounds and two men suffered other injuries during the riots. Around this time, Blackbird Leys was infamous for its joy riding. Young men from the estate would steal cars and ‘display’ them (with a variety of high-speed stunts) to an audience gathered outside the estate shops (known locally as the ‘top shops’), eventually gaining worldwide media attention. [not in citation given] Politician Andrew Smith stated in 1991 that the extensive national media coverage of confrontations with the police in August and September left many of the wider public with a distorted picture of the problem. Some say journalists visiting helped encourage some of the action for filming. 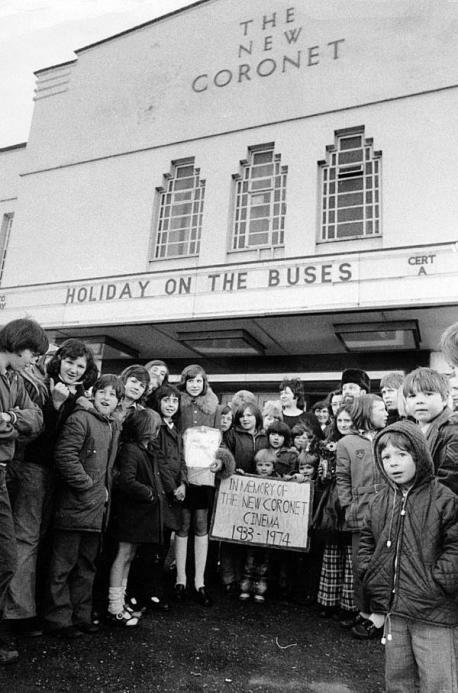 Various measures were brought in by the local council and police to stop the displays. Police often found it difficult to catch joy riders, whose stolen cars were faster than the police vehicles, though eventually a faster police car was introduced. Chicanes were built around the shops area, and an anti-skid surface applied to the road, making it difficult to execute handbrake turns and other stunts. To build up to the release of the Black Tin Barns and River Ghosts cassette I writing a daily blog of each song and what I trying to do and influences etc. Also where appropriate embedding tracks where other artists have covered the song. The first track above is ‘My Little Town’ from 1995. This was re-recorded with different tune by James McSweeney who now trading under the name Cole Cullen out of Oregon USA. Here is one of his versions of the song as recorded for the Moon Over The Downs compilation of 2003. I was listening to a lot of James McMurtry ( Larry McMurtry’s son and playing at The Maze in Nottingham in February!) 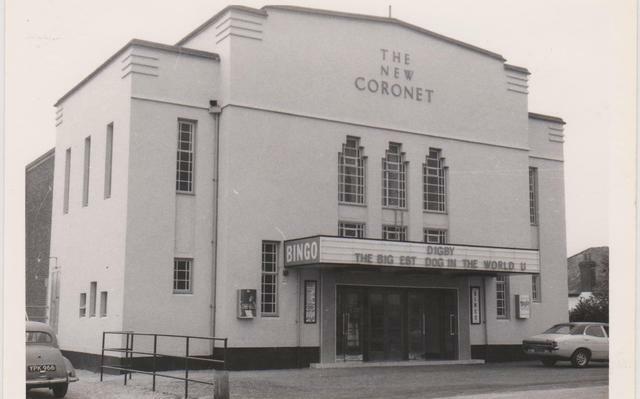 and John Prine as well as usual suspects like John Hiatt and Townes Van Zandt and Guy Clark, I like the song because it an affectionate portrait of my ‘one-horse’ home town which actually did have a picture-house ( or movie-theater depending which version you listen to) called the New Coronet which still stands but now a Bingo Hall as the song states. 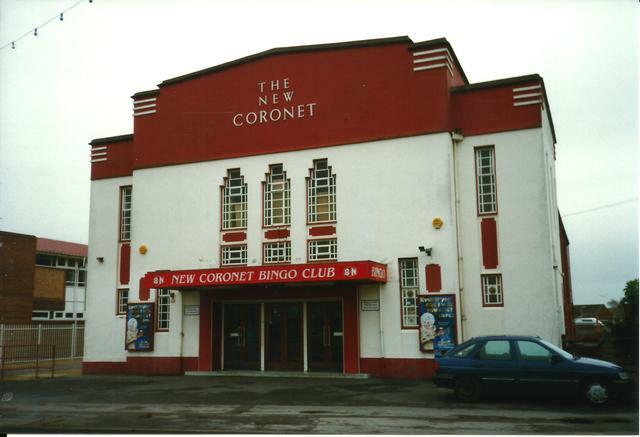 Here old and new pictures of cinemas in Didcot. Plus lyrics. In my little town, in my little town. This my earliest version of song from a reel to reel tape in early 1990s I expect.